Maximize Your Tax Refund Today! Do you find yourself going more and more into debt every month? Does your mailbox feel more like a pest than a friend? Letting bills pile up won’t make them go away, or make your interest rates any lower. 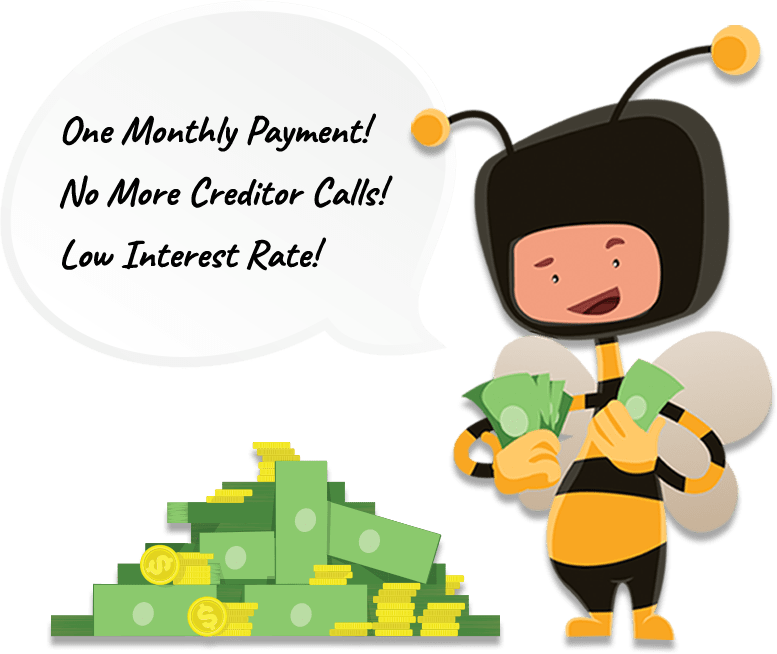 But a low-interest rate debt consolidation loan from Hornet Partners can do BOTH, all with the convenience of a single monthly payment to reduce the guesswork of paying multiple lenders. So what are you waiting for? Take away the sting and start saving today! Enter Your Personal Reservation Number You can locate this number in the colored box in the top right corner of your mail offer. See our video for details. You've taken your first step towards eliminating your high interest rate credit card debt. Our qualified financial consultants will reach out to you in 1-2 business days. Be on the look out for a call from a 212, 917, 646, or 716 area code. to your current banking institution before paying off your debt. © 2019 Hornet Partners All Rights Reserved.